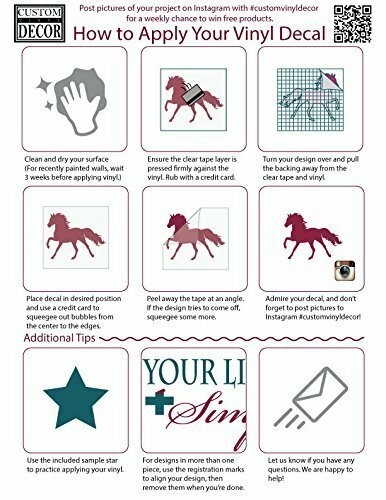 This gorgeous unicorn full-body in silhouette will make a glamorous decoration in any room. The powerful stance, flowing mane and tail, and pointed horn bring a sense of wonder and magic to any observer. 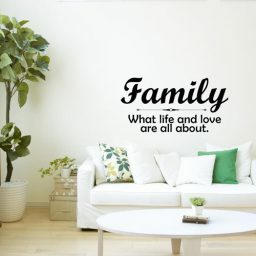 You can have a name or other text added to this design in an elegant cursive font to make it truly personal. 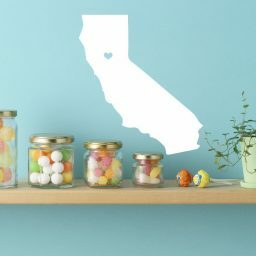 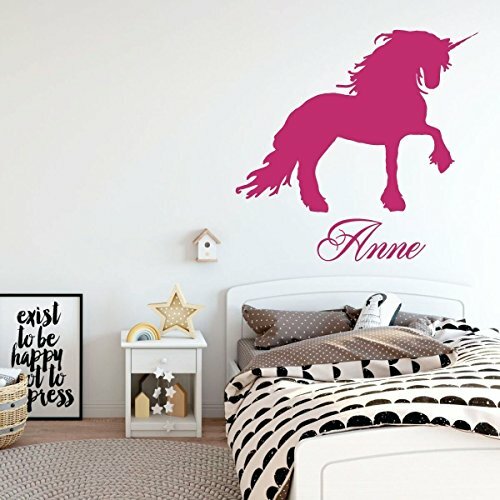 Customize it with the perfect color and size for your space, and your recipient will surely live happily ever after. 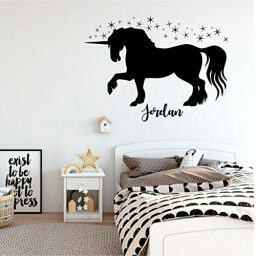 This fantastic beast in silhouette form is sure to thrill! 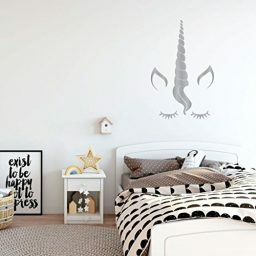 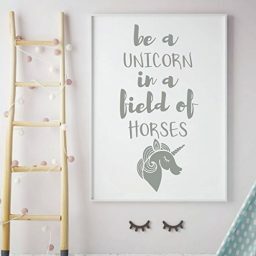 Perfect for a bedroom, bathroom, or playroom wall, your child’s imagination is sure to run wild under the watchful protection of this magnificent unicorn. 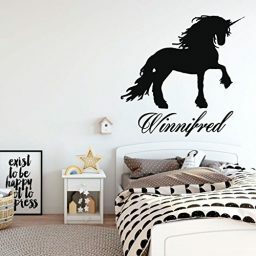 Its wavy, flowing tail and mane give a sense of movement so realistic that you’ll wonder why you don’t feel the breeze! 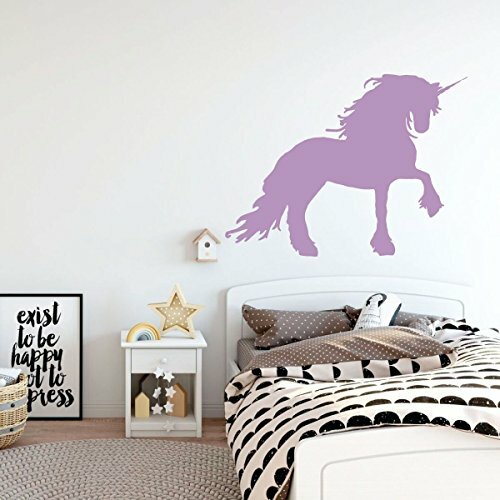 The unicorn’s pose shows that it’s ready to spring into action and gallop away at any given moment. 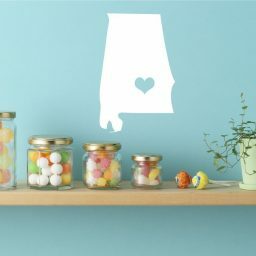 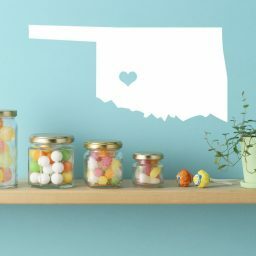 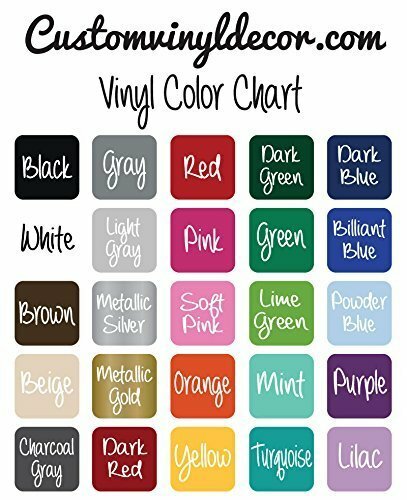 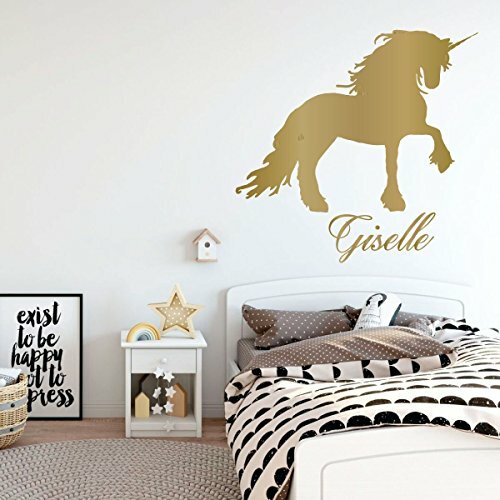 This would make a perfect gift for a daughter, niece, neighbor, or friend, and adding their name to your image give it the perfect touch and shows your love and thoughtfulness. 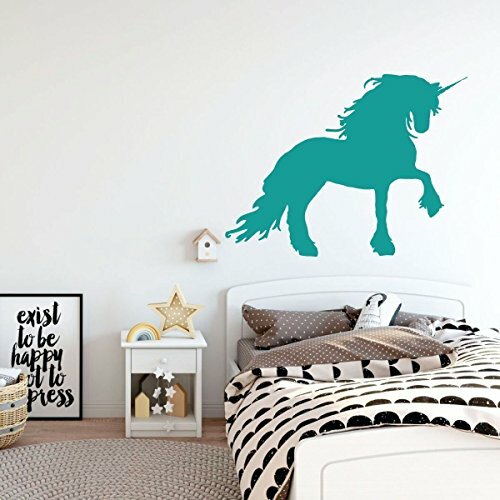 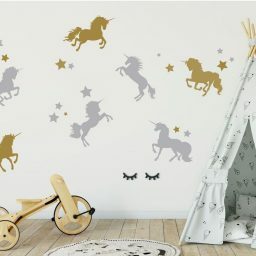 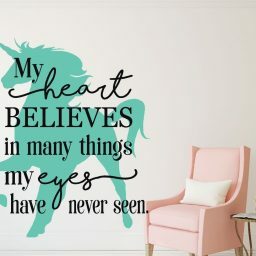 Give this vinyl wall decal to the unicorn-lover in your life and make all their wishes come true!